My scanner/copier/printer really surprised me with the quality. It’s fun finding old prints. Now I want to buy a digitizer for negatives. I’ve got a stack of negatives in there and somewhere in that stack is the awesome photo of the giant wet beaver I photographed in Idaho. That print brought lots of laughs. Here are some more shots from back in the day. I got this bike on a trade in for an almost new Hutch Pro Long BMX bike. I had gotten the Hutch stolen and while I was waiting on insurance money, I grew about 4 or 5 inches. So I traded it for one of the 3 mountain bikes in the shop. 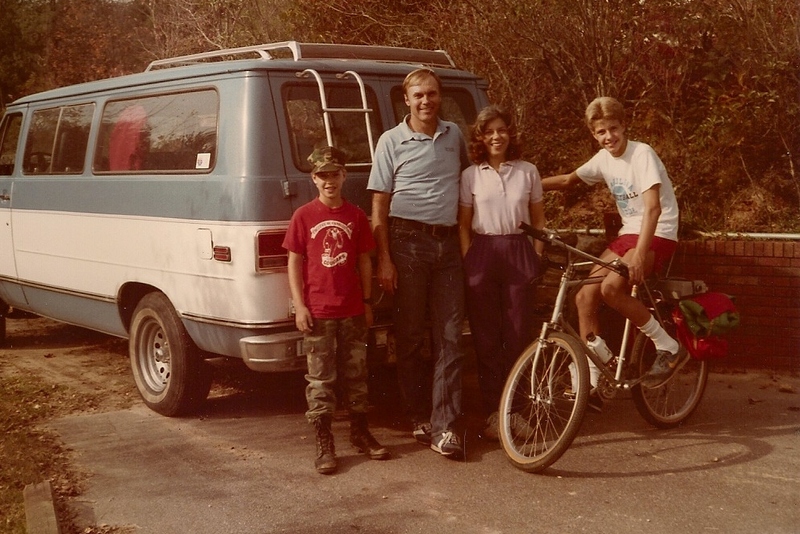 The other 2 were the Stumpjumper Pros that my mom and dad bought a few weeks later. My mom and dad still have their’s. Mine eventually broke. Check out the length of those chainstays. My brother and I went back to our mom’s place a couple weeks ago for her husbands funeral. We spent quite a bit of time going through a huge box of photos. I brought home only a few. There are more. Enjoy. That’s me with my cousin Tammy. We are both 4 years old. Notice I don’t have any training wheels and she does. That’s my brother Paul in the background. This is 1974. 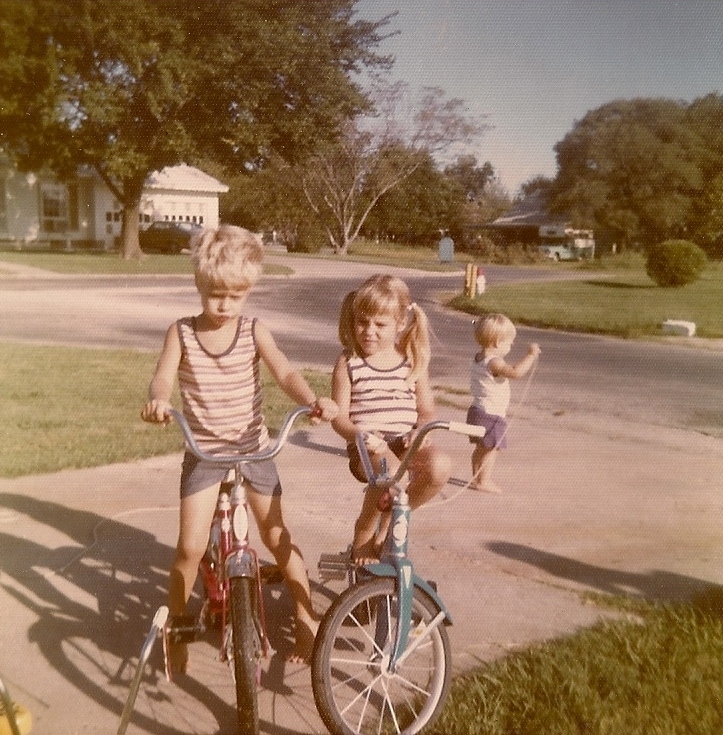 This bike I got for my 4th Christmas before my 5th birthday. So Christmas 1974. Notice the flag…on the front wheel. What was up with that? Quite a feat to ride no handed on that! It’s got a horn as well, but I have no helmet. 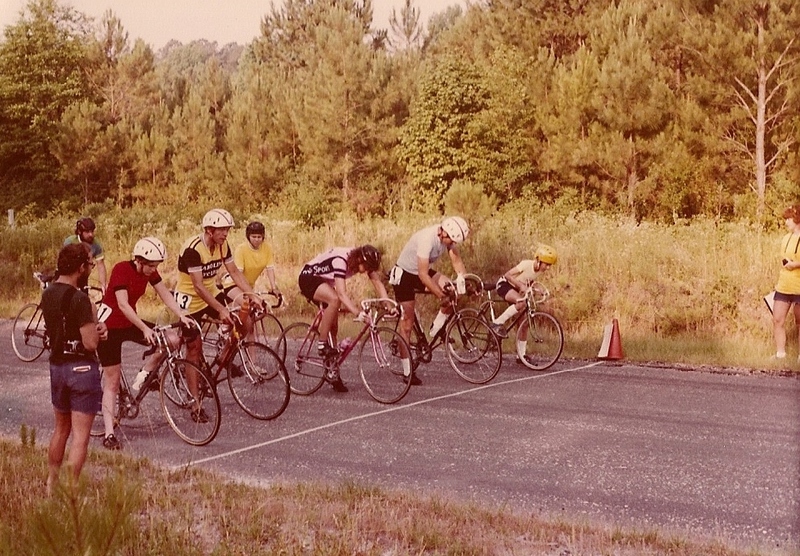 This is from the South Carolina 1980 State Championships. As you can see, cycling wasn’t that popular. I was the only midget class racer. 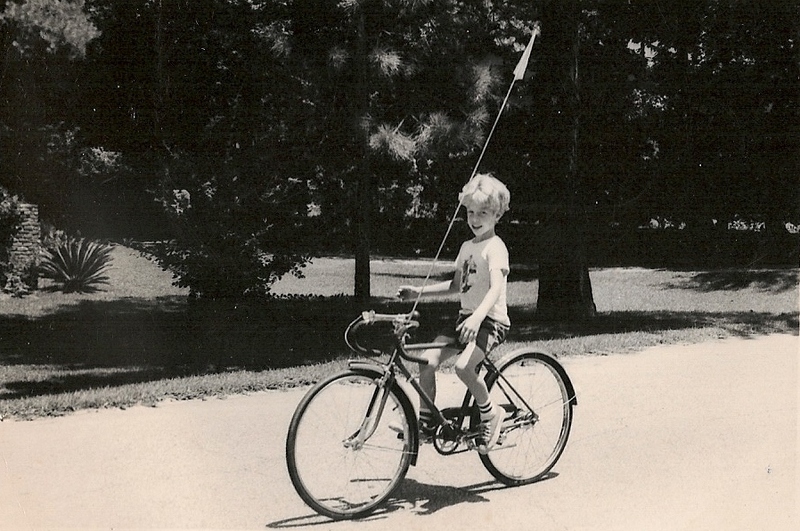 I was riding a 24″ wheeled Gitane. It was way too small, but midget racers had to ride smaller wheels. That’s my dad to the left of me. I’m on the far right. 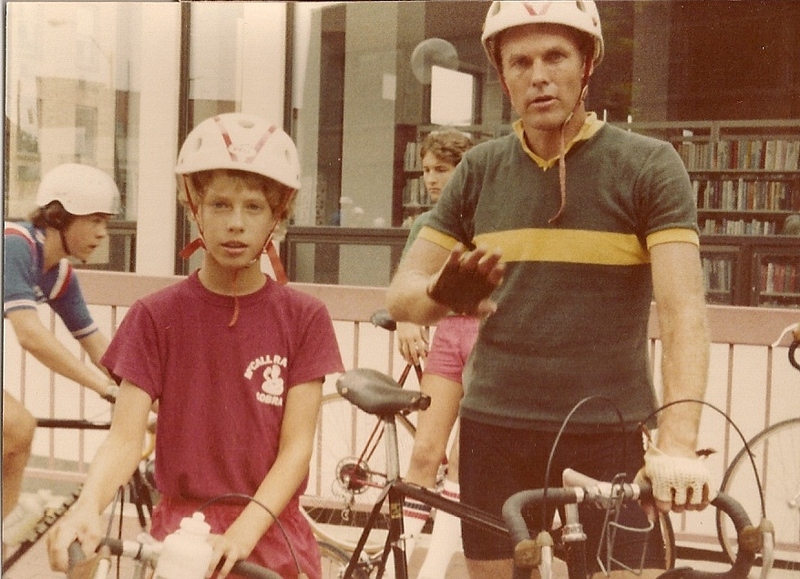 Here’s me and my dad at a road crit in Asheville, NC. It must have been around 1981 cause I’m on the Raleigh International that still hangs in my mom’s garage. 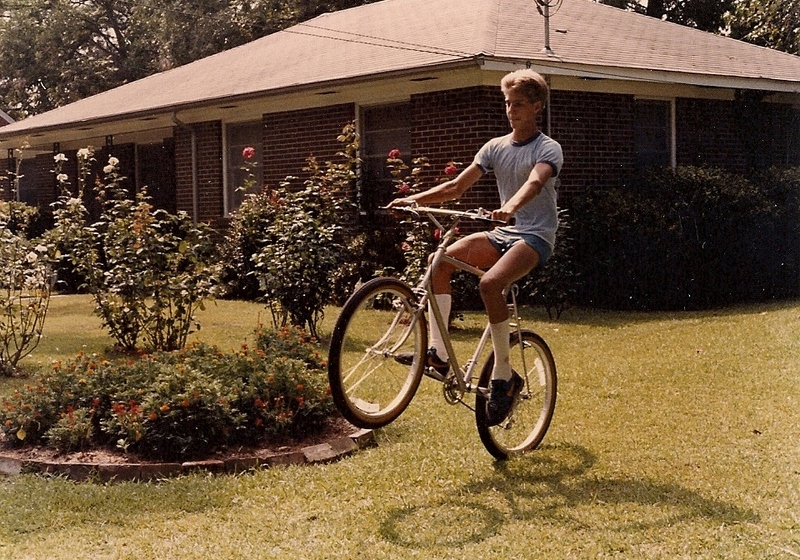 My dad is on a Raleigh Pro. I think he rolled a tire in this race. I’ll post more another day. Some of you may know that Titus closed their doors earlier this year. It’s been a LONG time since I’ve blogged, but this deserves a bit of attention as it’s one of the root causes of problems in our current economic situation. Here’s my view on why Titus went down. It’s an outsider’s view with some internal information that had been gleaned over a few years of correspondence with Titus personnel back when they gave me a great deal on custom bikes. Chris Cocalis was slow to innovate and change and had trouble managing a growing business. He sold out to investors who brought in Pat Huss who had previously run Cannondale into the ground. Pat brought with him Jeff Titone. Both are nice guys, but I’m not sure they really belong in the bicycle manufacturing business. Failed efforts at fancy exogrid products and carbon stuff from overseas started the fall. Originally producers of HIGH quality custom frames, they tried to seek more profit by going overseas. This never made sense to me as they had to fly over there all the time to do quality control….which sucked if you ever owned a carbon chainstayed racer-x. A couple years ago, they sold off their sweet jigs and took all ti production to Litespeed. Yuk. The aluminum stuff was still being made in Portland and the carbon stuff overseas. They shrank their operations in the states trying to become a marketing and design company. Customer service suffered and people started looking at other great bikes like the Trek/Fishers, Pivots, Tall Boys, and other fantastic bikes on the market that cost about the same or less. Titus deserved to die. Hanging on to the Horst Link and giving up on in house production reduced their value. Planet-X Bikes recently purchased Titus. I hope they didn’t pay much. Hopefully they will return to some custom in house production if they can ever get a hold of those sweet jigs they used to have. Good luck Planet-X Bikes. If you bring back Titus, keep ’em custom, keep ’em ti.